1. Oxide Defect Engineering Enables to Couple Solar Energy into Oxygen Activation. Author: Zhang N, Li X, Ye H, Chen S, Ju H, Liu D, Lin Y, Ye W, Wang C, Xu Q, Zhu J, Song L, Jiang J, Xiong Y. Journal: J Am Chem Soc. 2016 Jul 20;138(28):8928-35. doi: 10.1021/jacs.6b04629. Epub 2016 Jul 11. 2. Catalytic Asymmetric [4 + 1] Annulation of Sulfur Ylides with Copper-Allenylidene Intermediates. Author: Wang Q, Li TR, Lu LQ, Li MM, Zhang K, Xiao WJ. Journal: J Am Chem Soc. 2016 Jul 13;138(27):8360-3. doi: 10.1021/jacs.6b04414. Epub 2016 Jul 1. 3. Integrating Display and Delivery Functionality with a Cell Penetrating Peptide Mimic as a Scaffold for Intracellular Multivalent Multitargeting. Author: Bai Y, Nguyen L, Song Z, Peng S, Lee J, Zheng N, Kapoor I, Hagler LD, Cai K, Cheng J, Chan HY, Zimmerman SC. 4. An Alkaline-Stable, Metal Hydroxide Mimicking Metal-Organic Framework for Efficient Electrocatalytic Oxygen Evolution. 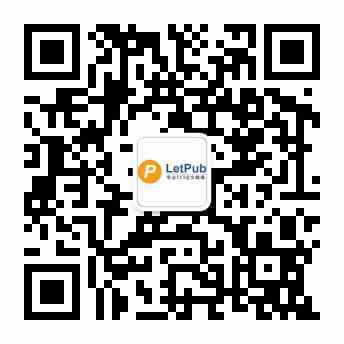 Author: Lu XF, Liao PQ, Wang JW, Wu JX, Chen XW, He CT, Zhang JP, Li GR, Chen XM. Journal: J Am Chem Soc. 2016 Jul 13;138(27):8336-9. doi: 10.1021/jacs.6b03125. Epub 2016 Jun 29. 5. Increasing Stability and Activity of Core-Shell Catalysts by Preferential Segregation of Oxide on Edges and Vertexes: Oxygen Reduction on Ti-Au@Pt/C. Author: Hu J, Wu L, Kuttiyiel KA, Goodman KR, Zhang C, Zhu Y, Vukmirovic MB, White MG, Sasaki K, Adzic RR. 6. Cu-Catalyzed Direct C6-Arylation of Indoles. Author: Yang Y, Li R, Zhao Y, Zhao D, Shi Z. Journal: J Am Chem Soc. 2016 Jul 20;138(28):8734-7. doi: 10.1021/jacs.6b05777. Epub 2016 Jul 7. 7. Formation of Curvature Subunit of Carbon in Combustion. Author: Wu XZ, Yao YR, Chen MM, Tian HR, Xiao J, Xu YY, Lin MS, Abella L, Tian CB, Gao CL, Zhang Q, Xie SY, Huang RB, Zheng LS. 8. Self-Assembly of Concentric Hexagons and Hierarchical Self-Assembly of Supramolecular Metal-Organic Nanoribbons at the Solid/Liquid Interface. Author: Wang M, Wang K, Wang C, Huang M, Hao XQ, Shen MZ, Shi GQ, Zhang Z, Song B, Cisneros A, Song MP, Xu B, Li X. 9. Promoting Active Species Generation by Plasmon-Induced Hot-Electron Excitation for Efficient Electrocatalytic Oxygen Evolution. Author: Liu G, Li P, Zhao G, Wang X, Kong J, Liu H, Zhang H, Chang K, Meng X, Kako T, Ye J. 10. Multicomponent Combinatorial Polymerization via the Biginelli Reaction. Author: Xue H, Zhao Y, Wu H, Wang Z, Yang B, Wei Y, Wang Z, Tao L.
Journal: J Am Chem Soc. 2016 Jul 20;138(28):8690-3. doi: 10.1021/jacs.6b04425. Epub 2016 Jul 7.